This is Part 2 of 2. Catch up on Part 1 here. Portable audio. How big is it? Not the scene itself but the electronics used to power headphones and IEMs whilst away from home or office. It’s not just the sound that matters. 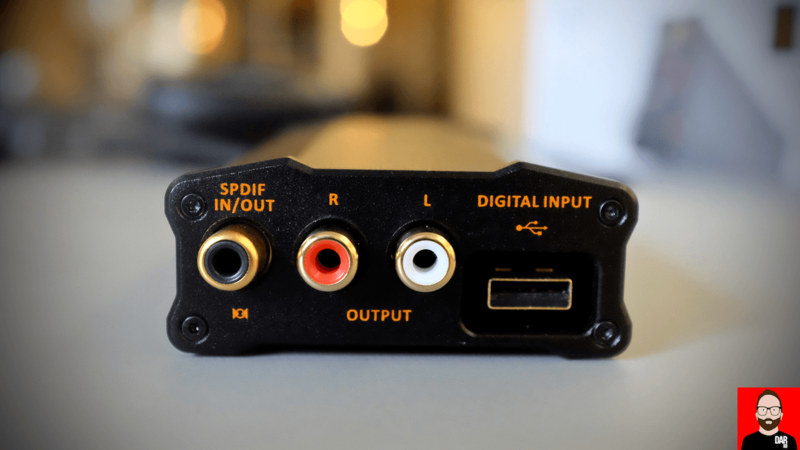 Required to go where mains socket lassoed hardware cannot, a DAC/amplifier’s run-time and form factor also impacts its appeal. And portable audio electronics come in all shapes and sizes. Some more portable than others. 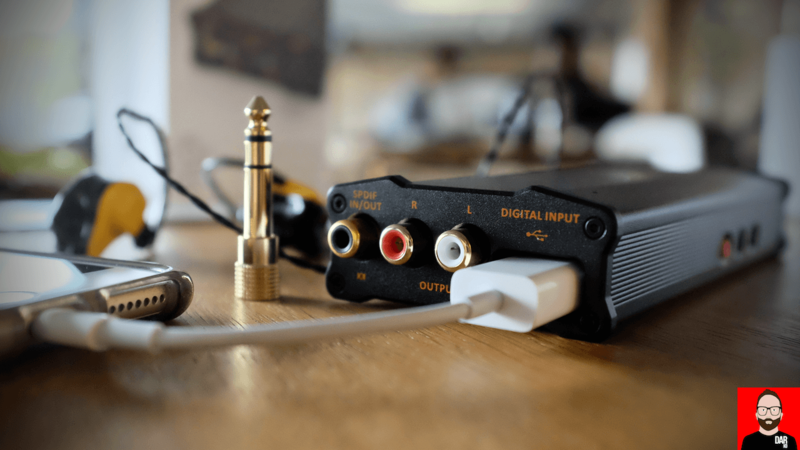 Move away from the smartphone and its basic-but-easily-bettered internal audio circuitry and our tolerance for additional physical intrusion quickly comes into play. If that tolerance hovers close to zero, a pair of active, noise cancelling headphones are the way to go. The Sony MDR-1000X offer knockout value for money. The AAC-free Momentum Wireless from Sennheiser are also a solid choice. Both models sound good when run passively. After that, one might look to Audeze’s iPhone-ready Cipher cable whose DAC and headphone amplifier are housed within a larger-than-average microphone dongle. Slightly bigger still are AudioQuest’s Red and Black DragonFly USB DACs, both of which are smartphone compliant. Moving up to palm-sized addendums, we soon meet Mojo, initially intended by its manufacturer Chord Electronics as a mass market smartphone addendum. However, with audible performance that leap-frogged numerous rivals, the Mojo ended up as the D/A converter of choice for many thousands of loudspeaker listeners, where, ironically, its powerful and clean headphone drive goes largely untapped. The mass market took a rain check. Was it the price or was it the size? 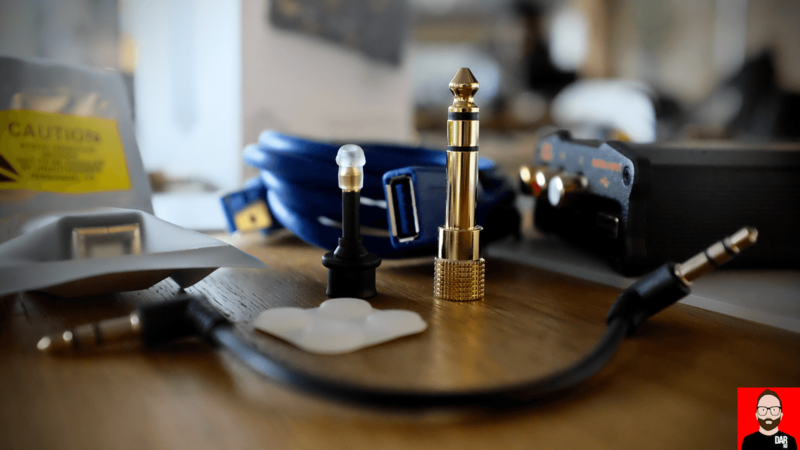 The Mojo extension kit added length in order sidestep the micro-USB cable. No mind – in the audiophile space, the Mojo has gone on to become to the battery-powered portable DAC/headphone amplifier to beat at its US$599 price point. I use all of the above on a weekly basis but with the Chord Electronics device separated from the main pack of Audeze/AudioQuest/Sony/Sennheiser. Why? Only when rubber-strapped and TOSLINK-ed to a first generation Astell&Kern AK100 does the Mojo/DAP bundle feel properly pocketable. In trying those same straps with an iPhone 6S Plus and CCK, I wonder which way to drop the two-fer into a coat pocket without crushing a cable plug and – more immediately – how the Apple device’s screen remains usable with two strips obscured. And because we are asked to wear it, on head or in pocket, portable audio is also personal audio. For this audio traveller, the Mojo’s in-pocket bulk and cable demands quickly become too much to bear. Well suited to office desktops and aeroplane tray-tables but not inner city walkabouts, the Mojo’s success is, for me, in its transportability (usable at home or office), not its portability (also usable in-between). It is into this extended background breakdown that iFi Audio’s micro iDSD, now a Black Label edition (US$549/€599/£455), drops. The iDSD can indeed go everywhere you do. Like the Mojo before it, the end user must decide how well it’s portable strap-on possibilities fit his/her needs. This Black Label edition, like its forerunner, is the same height as an iPhone 6S Plus. Rubber-strapped together, ‘only’ the front-facing camera and home button on the Apple device are obscured. Perhaps that’s a compromise you can live with. I cannot. The iFi unit therefore falls into the self-defined transportable category, just like the Mojo. For the 45 minute walk between DARhaus and co-worker office, the iFi and Chord pieces ride in a backpack as the Audeze Sine and iSine 20 do turns with their corresponding Cipher cables or AudioQuest’s DragonFly Red, both of which connect to an iPhone 6S Plus its Lightning port. Old Red requires an intervening Camera Connection Kit from Apple. It’s a different story once sat at the office desk. 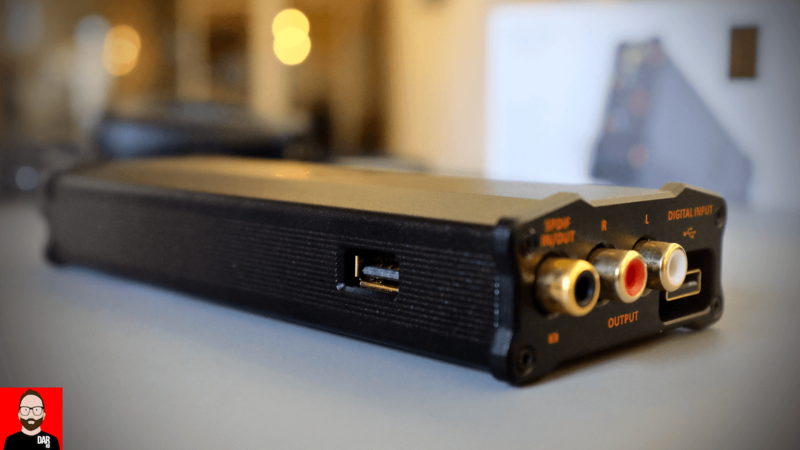 The in-line AudioQuest and Cipher DAC/amp-ing are parked in favour of the iDSD. Why? It sounds quite a bit better. More detailed, better control – fuller, richer listening experience. Music sounds more present and less nervy – a finding that places it on par with the DragonFly Red and Rupert Neve Headphone Amplifier combination used back at the DARhaus. So – if the upgrade from Cipher to Chord Mojo is analogous to a move from instant coffee to filter/drip, how about the move from Mojo to iDSD? Can the newcomer overthrow the incumbent? On iPhone hook-up, the iFi brick takes the early lead (pun intended). The iDSD’s Type A USB 3.0 socket accommodates Apple’s CCK directly. Unlike the Mojo minus its extender kit, no additional USB cable is required. From iFi’s long box package come adaptors, both hard and fly-lead, so that the iDSD BL’s Type A USB socket can interface with a Mac or PC. iFi recommend using their blue USB 3.0 cable, also supplied. I followed this advice for Audirvana+ 3.0-fronted listening on an 11” Macbook Air but found the Curious USB cable + iFi’s hard adaptor to offer slightly better resolution and clarity. Slightly. Back with the Mojo, TWO micro-USB terminated cables are required for simultaneous charging and listening. For the Black Label iFi, we need only one. Click the volume pot clockwise after PC/Mac hookup and the host’s power will flow freely into the DAC/amplifier. However, power it up before USB connection to PC/Mac and go juice will come from the iDSD’s internal battery with the manufacturer promises up to 12 hours of listening, depending on power output. From a red side-mounted slider, we step through three power output modes: ‘Eco’ puts 250mW into 16 Ohm loads, ‘Normal’ shows 32 Ohm cans almost a full Watt of power whilst ‘Turbo’ asks tougher loads to say hello to 1.5W. For high- and ultra-sensitive IEMs, like this reviewer’s Fitear Air customs, there’s iFi’s three-position IEMatch circuitry that delivers on its promise of lowering hiss and giving the listener more usable turn from the volume rotary (one that could be knocked when in pocket). That said, the Mojo is as equally sensitive to the needs of the Tokyo-made CIEM by default. Digging into the long box a second time we find yet more adaptors: a mini-TOSLINK for the hybrid S/PDIF input (that deal in coaxial and TOSLINK); a 3.5mm-3.5mm wire to feed the iDSD BL an analogue signal; an RCA to RCA cable for hooking the iFi as DAC and/or (defeatable) pre-amplifier into a loudspeaker rig; a 3.5mm to 6.44mm to bring smaller headphone terminations up from Mojo to iDSD Black Label size. Extending listening – Goldie’s Inner City Life 2017, Luna’s Penthouse, Grandaddy’s Last Place, Robyn Hitchcock’s eponymously titled 2017 release – across several afternoons at the office confirmed that the iDSD BL puts acoustic mass ahead of detail retrieval and separation and the Mojo inverts those priorities. Bringing it back to coffee. The Mojo’s filter-drip gives way to the iDSD’s Americano where some of the Mojo’s flavour subtlety is traded in for richer tonality and a more emphatic dynamic wallop. The iFi brick shows greater evidence of upward moving, inside-out bass pressurisation. More impactful, less analytical. Coming back to the Mojo after an hour or so drinking Black Label, the Chord sounds a little tipped up in the top end and more skeletal. 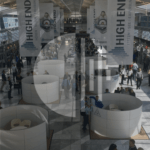 The iFi unit contrasts its rival as emphatically more detailed, more internally spacious, wider with headstage and more abundant in textural information but also more synthetic, thinner on body, lighter on all-round heft, especially below the waist. The iFi is for those who find the Mojo overplays its hand on inner detail resolve and presence region energy of which Neil Young’s sprawling Psychedelic Pill needs no more than the iDSD BL gives. Nowhere is this more evident than with Sennheiser’s HD800S. A/B tests are the least fun part of the reviewing gig. It calls for a song – or songs – of which the reviewer cannot get enough. Songs that will endure repeated listens without erosion to enjoyment. Right now, that’s Stuart Price’s 2017 ‘Super’ re-hash of Pet Shop Boys’ “Left To My Own Devices”. In ECO mode with the volume pot at midnight, we hear plenty high enough SPL from the HD800S. However, my preference here falls to Normal mode with the volume pot at 9pm where more midrange energy and hip thrust show up to the party. The newly remastered Kitchens Of Distinction career-summing box set Watch Our Planet Circle isn’t the meatiest set of recordings around. In 2017, we might call it indie rock. In the band’s mid 90s heyday it was just indie. Back then, as it is now, the Kitchens’ body of work is tender of vocal but glacial with guitar, especially once the layers pile on. The Mojo also has enough in tap to juice the HD800S. The difference between it and the iFi lies not only in power reserves – I’d peg the iFi as more capable in those terms – but in personality: the Mojo opens the roof to let more light in from above – it’s airier – but the Black Label brings weightier, fleshier acoustic mass up from below and gives us greater exposure to connective tissue albeit at the expense of layer separation and a marginally darker presentation. For those who savour the delicacy and intricate layering of Julian Swales’ Cocteaus-esque guitar sounds, those that define the Kitchens of Distinction’s sound, the Mojo might be just the ticket. But to these ears, with these Sennheisers, it’s a shade too ectomorphic, a few degrees too analytical. Given these Sennheiser’s tendency towards pins and needles – and even more so the forerunning HD800 – a more even-handed presentation comes by way of the iFi brick – it moves music’s gravitational centre from the Mojo’s mid-mid to lower-mid. Executed not via DSP but analogue components, the iFi’s Xbass toggle subtly moves this tipping point lower still. In other words, the HD800S take us down to the bone on music. So too does the Mojo. That sums to an MRI – and, for this listener, too much of a good thing, especially when spinning the likes of The Flaming Lips The Soft Bulletin or David Bowie’s Diamond Dogs. The iFi keeps the top flight German ‘phones on the right side of X-Ray vision whilst allowing for thicker blood flow. Those who prefer to hear more saxophone body from Bowie’s Blackstar will likely find the Mojo marginally too reedy and the iFi the plusher player. Such deltas remain small but it’s a reviewer’s job to tease them out with greater emphasis and with the associated gear s/he has to hand. 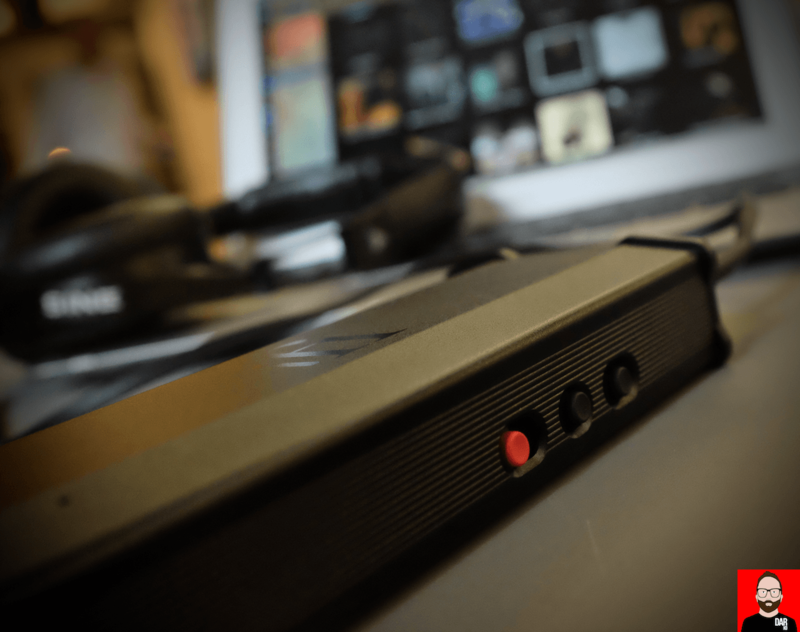 Readers seeking intel on how iFi vs Chord preferences fall with other headphones should know that I’d opt for the Mojo with the AudioQuest NightOwl Carbon but the iFi micro iDSD Black Label with Final’s Sonorous III. In IEM-land with the Fitear customs the iFi gets the nod. For custom Noble Savant, the Mojo. 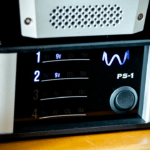 When using the iFi and Mojo as a loudspeaker system DAC, the iFi’s greater tonal mass and “meat” means I hear it as better suited to KEF’s LS50 and ELAC’s BS U5, especially with the tubed-infused pre-amplifier and monoblocks from PS Audio in play. The Mojo’s high resolve and more meticulous handling of microscopic detail works better with the more laid back and better extended Uni-Fi F5 floorstanders* (See footnote 1). Which one you’ll prefer will depend on your need for musical body and muscle vs. filigreed detail handling and clean layer separation. 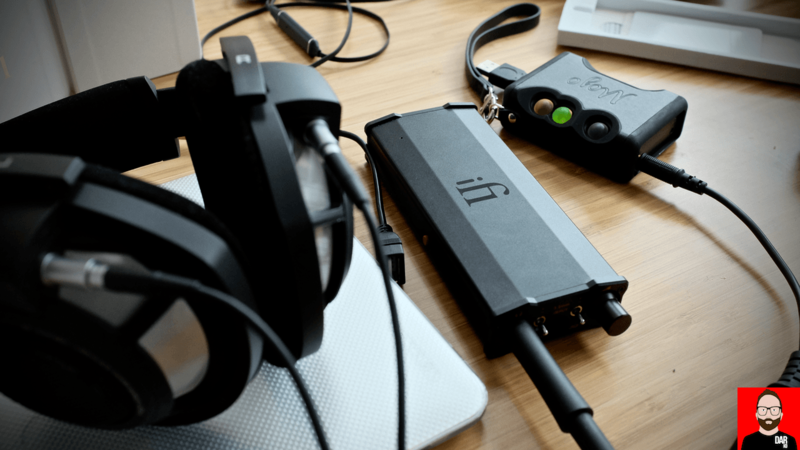 For Audeze’s Sine closed on-ear, the iFi micro iDSD Black Label provides wider and deeper headstaging than the Cipher (even without the latter’s FR-correcting circuit) and it keeps the top end on a tight leash; just how I like ‘em. The Black Label’s analogue input means outboard D/A converters can also be accommodated. Firing the Mojo’s line level output into the Black Label 3.5mm socket gives strikes the middle ground between these products’ finest qualities but alas doubles down on connection complexity, not to mention device re/charge management. That’s probably not an issue for this Japanese commuter. However, for me, personal audio, as its name suggests, must strike the right compromise between SQ and physical convenience. The iFi might not be truly pocketable for pedestrians but it’s a proper powerhouse when run point to point: at home, at the office, at the airport, at the train station on the plane, on the train. And as a neat bonus, with the iDSD BL in tow, portable battery packs can be left at home. The iFi micro iDSD will recharge a smartphone (or similar) from its side-mounted Type A USB port. Perhaps this is how we might best think of iFi’s latest portable DAC/headphone amplifier: a smartphone charger that will also extract the very best performance from a nice pair of connected headphones. Footnote 1: Seven years of DAR comments section handling tells me that providing comparative data and system-matching intel only drives up the thirst for more. Time constraints being what they are and not having access to every piece of hardware ever made, all of the time, means each DAR review will always contain a limited subset of information – a few week’s listening with whatever other hardware happens to be on hand at the time. Before commenting below, be advised that what is covered within these 2000+ words is all I have to say about this product. If it’s not in the review, I didn’t do it. And if I didn’t do it, it’s not in the review. Remember: the glass is half-full, not half-empty, and it doesn’t cost you a dime to drink it down. i have the original silver micro iDSD…the new model’s improvements, based on reading reviews from headfi, doesn’t warrant me selling it and getting the black…am currently using a mojo for portable (or dragonfly red) and the micro as a desktop dac with my powered Alpha Focal 50s…love the 3D and xtra Bass effects on the micro for desktop usage. That’s a good point. The IDSD would make a great pre-amp for actives. I should hook it up to my Genelecs. iFi just need a streamer module like “poly” to complete it’s line up. Yes, that would be sweet indeed. Have you tried the Oppo HA-2 and/or HA-2SE? They give the Mojo and iFi a serious run for the money, and to my eyes, at least, in a more attractive and more transportable package. Also, a word of warning is in order–iOS 10.3 has been giving the Mojo, HA-2, various iFi DACs, and the Dragonfly DACs dropout problems for some users. Hey Eric. Yes, the HA2 was reviewed here but it still has the rubber straps obscuring the screen; sounded good though. I’ve kept my iPhone at 10.2 for that very reason. I guess all manufacturers taking the unofficial CCK route instead of the official MFI route are vulnerable to OS updates. The HA2 is MFI certified, yet these units are still suffering from the problem. I have found that if I leave Tidal open and don’t put the iPhone into standby mode, the problem ceases to exist for hours on end. If I don’t do this, it cuts out every few minutes. There have also been some people on the Apple forums that have stated the Apple branded lightning to 3.5mm dongle is declaring it is no longer supported when plugged in since the 10.3 update. Hopefully a fix in imminent, but as of iOS 10.3.2 beta 5, I can say from personal experience that this issue has not been resolved. Does this new version of the iDSD suffer from the same channel imbalance issues that plagued the earlier model. At low volume, the left channel is louder than the right. Not that I’ve noticed, no. John be careful with the idsd and powered monitors….i had to use mine in ‘preamp’ mode as the ‘direct’ signal was too strong for the focals (they have no volume control button) and they blasted full volume with ‘direct’ being used. And that’s what the direct/pre-amp toggle is for, no? i was told by iFi to use Direct if you can for many settings (perhaps more with cans than with powered speakers, however) .. something about a cleaner signal or not conflicting with another one when in direct vs preamp…sorry i can’t recall or find it….but for my focals ‘direct’ doesn’t work and i had to do it as ‘preamp’…also be careful with the ‘power mode’: start with ‘ECO’..it’s a powerful little bugger. I picked up a used silver micro idsd while my Hugo was in for servicing and its definitely a more exciting sound. I found the instrument separation to be very good on the idsd. Definitely the bass is an improvement over the Chord sound. I don’t have an extensive headphone collection, but my Hifiman 400s works very well with the idsd. The only issue that I would echo that a reviewer on Audio Bacon noted was that it seems to offer a bit more fatigue for long term listening. The Hugo has no issues on this front albeit with a less exciting experience. I am almost tempted to marry the dac section of the idsd with a tube amp (like a Schiit Vali 2) and play with tubes to tune the sound. Nice to see your well written review mirrors some of my own experience. What are your favorite headphones for commuting? Favorite for commuting–Oppo PM-2, B&W P5. Thanks, do you think there’s any merit to the fragility claim? The wirecutter review said that they’re less sturdy than dynamic headphones. Oops, I meant to write Oppo PM-3. PM-1/PM-2 are too big for commuting for my taste. John, you should try Roon up-sampling everything to DSD512 to the iDSD BL… it’s another step up in performance (and least my ears think so with my HD800S cans) and free for anyone to try – whether you have Roon already or do their 2 week trial. Very tempting but I won’t buy anything that doesn’t do MQA even with the small amount of MQA available right now.